The GOtv Shield final between AFC Leopards and Kariobangi Sharks on Friday pits an old hand against a new breed in the Kenya football kicking off a busy weekend where the KPL title could also be decided when Gor Mahia play Ulinzi in Kericho. At the Moi Sports Centre, Kasarani, Robert Matano has a second crack at the Shield with AFC Leopards after coming close last season when he ‘technically’ lost 0-1 to Tusker FC while coaching Ulinzi Stars. “We want to find stability for the team so that we can have somewhere to start from next season,” Matano stated. 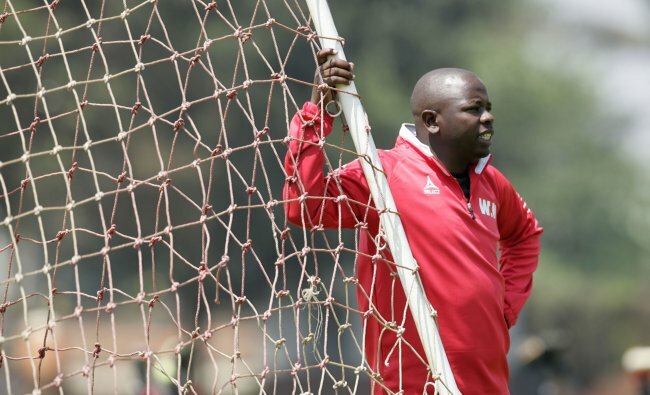 William Muluya, the Kariobangi Sharks coach has promised to pull a surprise. “AFC is a very good team. I expect a tough final, very tactical and explosive. People will be surprised by this Sharks’ side,” the coach said. Kariobangi Sharks have already achieved their target of reaching the final and are under no pressure despite losing 1-3 to Gor Mahia on Tuesday. At stake is a financial reward and a ticket to the CAF Confederations Cup next season. Duncan Otieno, the AFC Leopards captain said the players are driven by showcasing their talent in continental football. They will miss the services of injured defender Robinson Kamura. Ugandan midfielder Keziron Kizito is also doubtful. Kariobangi Sharks have no injury worries. The main concern is their form having failed to win over their last five matches although the Premier League newbies have picked four out of a possible six points from AFC Leopards this season. They won the first leg 2-0 and the second a barren draw. The teams have contrasting styles. AFC Leopards are direct and rely on their speed on the wings while Kariobangi Sharks like building from the back with short passes and swift movement which presents a big challenge to Otieno, Musa Mudde and Whyvonne Isuza on the opposite end. To reach the final, AFC Leopards started off with a 15-1 whitewash of fifth tier side Dero United and beat Nairobi Stima 2-0 in the second round. In the round of 16, Ingwe beat Bidco United 2-1 and Wazito FC 7-1 in the quarterfinals before seeing off Vihiga United 1-0 in a tough semi final. Kariobangi Sharks started their campaign by beating a Division Two side, Bungoma Superstars 3-2 in the first round. They knocked out Kenpoly 2-0 before seeing off two time champions Sofapaka 3-1 in the round of 16. In the quarter finals, Kariobangi Shark beat Eldoret Youth 5-0 and SoNy Sugar 2-0 in the semis. The Shield final paves way for the match between Gor Mahia and Ulinzi Stars with the winner booking a ticket to the continental showpiece. This match was switched to Kericho because of the unavailability of Nakuru’s Afraha Stadium. Gor Mahia need only one point to win the league. The first ended in a 2-2 draw. Dylan Kerr, the Gor Mahia coach is cautious. “I am not excited at all. I might go to the stadium looking forward to a great game of football then something like Mathare happens. We are playing for another three points,” the coach said. In this match, Karim Nizigiyimana is injured while goalkeeper Boniface Oluoch is doubtful but midfielder Ernest Wendo is back. Ulinzi Stars who last beat Gor Mahia in March 2013 are chasing for a top three finish. Ulinzi has beaten Gor Mahia only four times in 17 league attempts, losing seven and drawing six. The last time they beat K’Ogalo was in March 2013 in Nairobi. Benjamin Nyangweso, the Ulinzi Stars coach is determined despite not winning their last five matches, losing twice and drawing three. “The league is gone. The target now is at least to try and either equal or do better than our third place finish from last season,” Nyangweso told Sports News Arena. For this match, Ulinzi Stars who lost 0-1 to AFC Leopards on Tuesday will have Geoffrey Kokoyo, Oliver Rutto and Samuel Onyango who missed the tie serving a one match suspension. Defender Mohammed Hassan is injured while keeper James Saruni is not yet back with the team after taking time off to attend a military course. “It is a tough game against Gor. I am happy that at least we have some players back which is going to be a huge boost for us,” Nyangweso added. While Gor push for the league title, the battle for relegation is on the business end even though a clear relegation/promotion criteria is yet to be settled between FKF and KPL. While KPL insist that two teams will be relegated and two promoted as per the 2015 agreement, FKF say that two will be automatically relegated and the third last team in the KPL takes on the third-placed team in the second tier league in a play-off. Despite the standoff, KPL teams aim to avoid the bottom three. At the moment, Mathare United are 15th with Thika United, Western Stima and Muhoroni Youth occupying the bottom three. The biggest relegation fight will be at the Thika Sub-County Stadium where Mathare United face Thika United. Two points separate the teams and a win for Thika would see them swap places with Francis Kimanzi’s side. Thika United are undefeated in their last four matches winning once and drawing three. Coach Nicholas Muyoti says the team’s confidence has built on over time and is certain they will avoid the chop. “If you look at the game we drew last against Western Stima, we were headed for a win but conceded a last minute easy goal. It shows that we have had some progress and I am confident that we can win against Mathare. The players are determined to be in the league next year,” Muyoti said. Mathare have also been on the trajectory, picking an equal four points in the last two matches. They won the first leg 3-2. “It is about doing well each game you approach and this is another tough one. Hopefully we can keep to our tactics. Most importantly, the spirit,” Kimanzi said. AFC Leopards: Ian Otieno, Mike Kibwage, Lewis Wanami, Salim Abdallah, Duncan Otieno, Musa Mudde, Whyvonne Isuza, Samuel Ndung’u, Marcelus Ingotsi, Vincent Oburu, Alex Kitenge. Kariobangi Sharks: John Oyemba, Paul Kamau, Mike Bodo, Pascal Ogweno, Geoffrey Shiveka, Patillah Omotto, Sven Yidah, Elli Asieche, Duke Abuya, Massoud Juma, Mathew Tayo Odongo. Saturday: Nzoia United v Tusker FC (Sudi Stadium, Bungoma), Ulinzi Stars v Gor Mahia (Kericho Green Stadium). Sunday: Muhoroni Youth v Kakamega Homeboyz (Muhoroni Complex), Nakumatt FC v Bandari (Ruaraka Complex), Sofapaka v Western Stima (Narok Stadium), Thika United v Mathare United (Thika Sub-County Stadium).